I was sick last week. And for me that means two things. 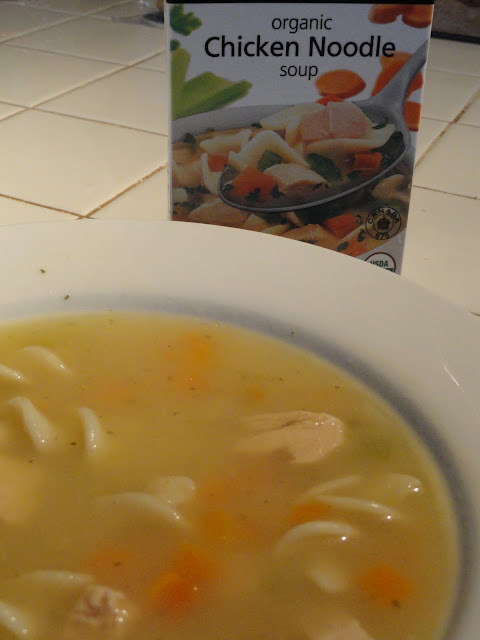 Sleeping and chicken noodle soup. Chicken noodle soup is my go-to comfort food, whether I am healthy or sick. I could actually eat it every night and I think there were a few months back in 2007 when I did just that. 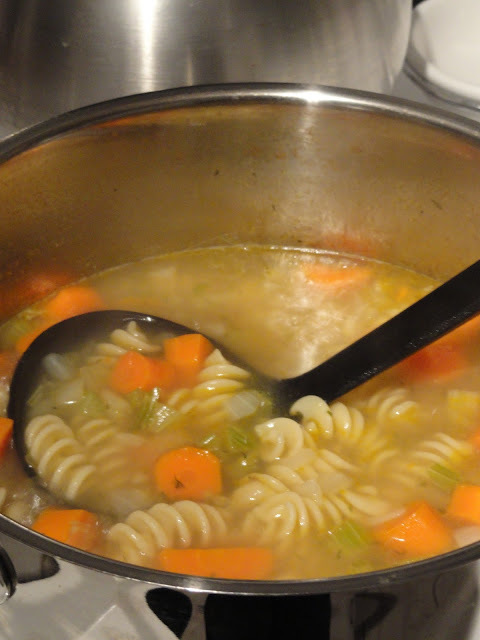 The first time I made chicken noodle soup from scratch was about 8 years ago when I came down with a terrible flu. I got sick shortly after receiving a flu shot, and although the health professionals claim there is no connection, I am convinced it was the cause. I was stuck in bed for days, and when I finally emerged all I wanted was chicken soup. I bought a whole chicken, cut it up, and boiled it with carrots, onions, celery and dill. 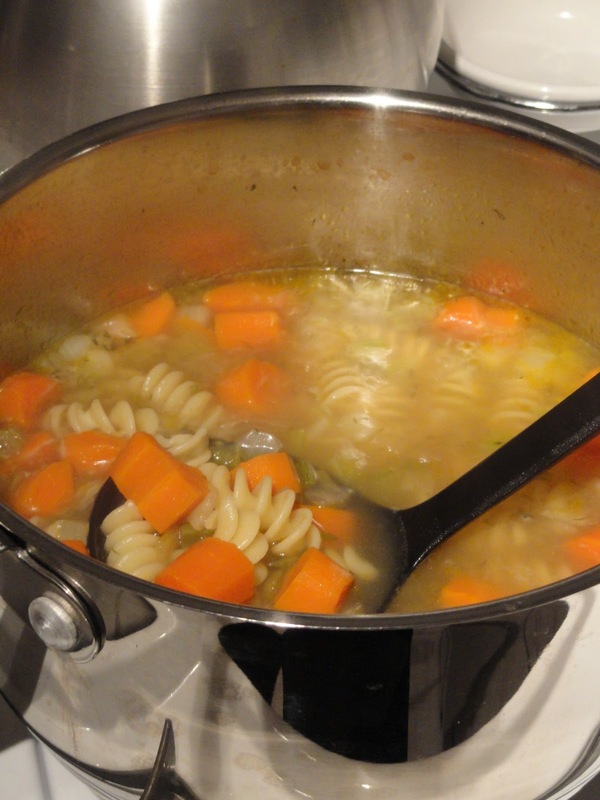 I then strained the broth, pulled all the chicken meat off the bones and then added it back with a fresh batch of carrots and celery. 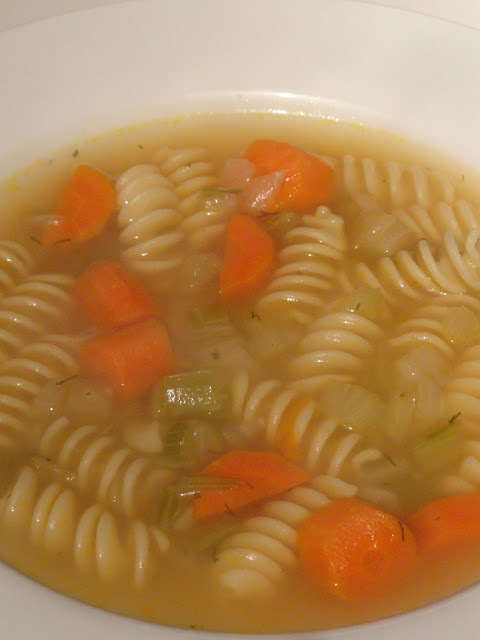 Lastly, I added noodles, more dill and voila, chicken noodle soup! It was a huge success and tasted just like Grandma's soup (my Grandma on both sides- there is lots of chicken soup talent in the family). While that recipe is delicious, it takes major commitment. So of course I found an easier way. I call it shortcut homemade chicken soup. I start with chicken broth (preferably organic so its as close to making it yourself as possible) and then add onions, carrots, celery, noodles and dill. Let it boil, let the flavors blend and serve. Much easier, eh? So last week when I was sick I made the short cut version. And when that ran out, I ate store-bought soup. 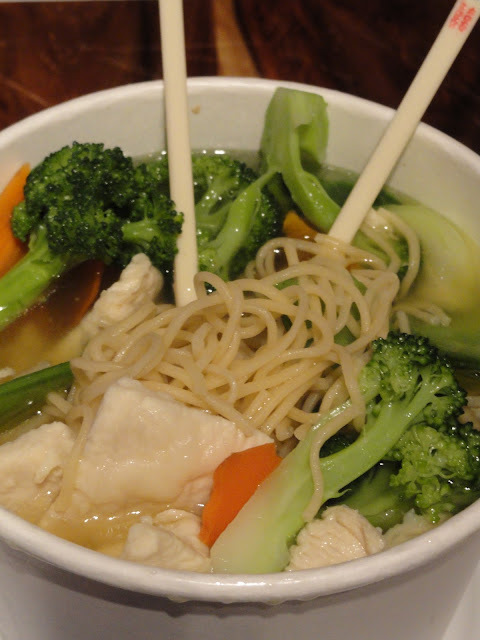 And when that was gone, I ordered noodle soup from my local chinese restaurant, Tommy's Wok. And after all that soup...my cold is beat. 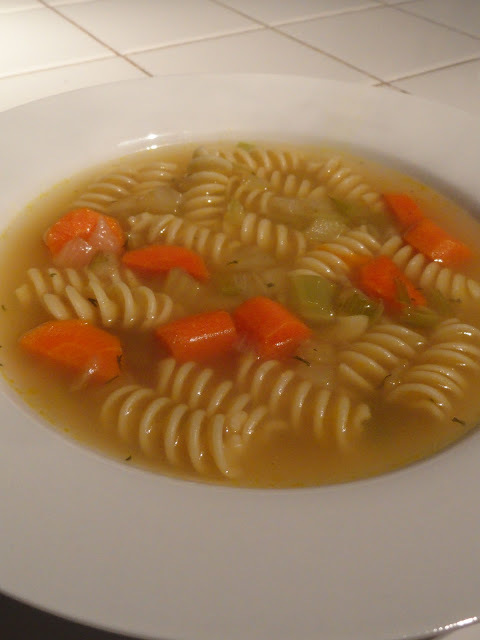 Here is my short cut, quick and easy, almost homemade chicken noodle soup. When there's no time to cook, Safeway's organic line is a great alternative. Technically this dish isn't on the menu, but when has that ever stopped me? 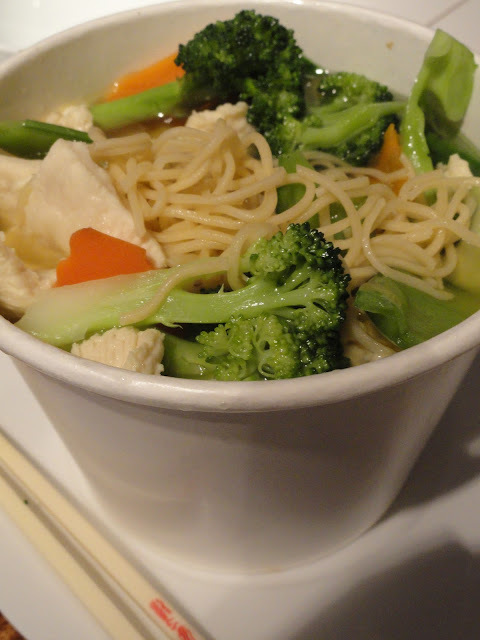 "Can I get some chicken broth with the Hong Kong style noodles, chicken and veggies?" I've ordered it so many times that I can now just refer to it as chicken noodle soup and they know what I mean. To quote Campbell's soup....mmmmm, mmmmm, good. 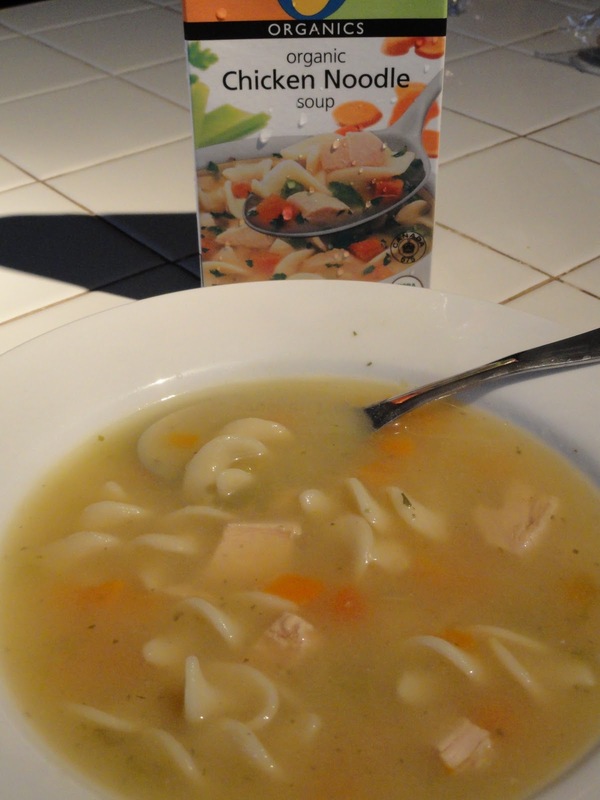 The chicken soup looks great. The carrots and noodles make it look so colorful. As for the Chinese food version it looks so delicious. I say bring on the next cold. No just kidding! Yummy! 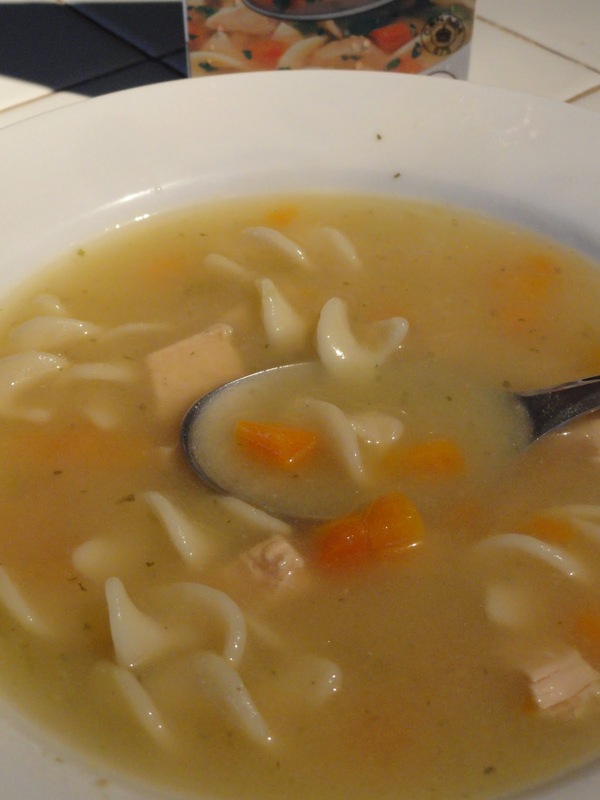 I am now craving chicken noodle soup. The chienese one looks fabulous also - It's like all the best chinese ingredients combined!